Tasked with the goal of increasing sales for the month of June, the prompt, “Remember That Time”,” immediately evokes stories, memories, and experiences you’ve had with your dad. 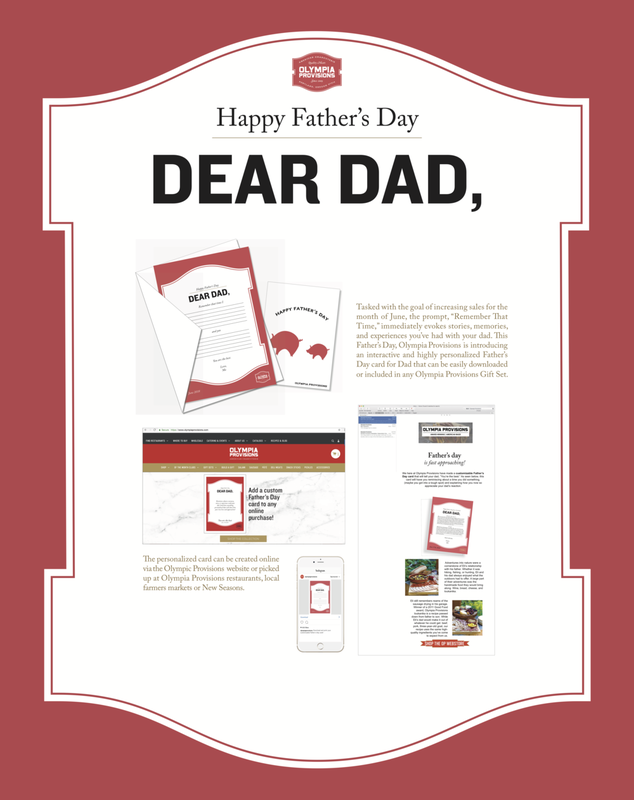 This Father’s Day Olympia Provisions is introducing an interactive and highly personalized Father’s Day card for Dad that can be easily downloaded or included in any Olympia Provisions Gift Set. The personalized card can be created online via the Olympia Provisions website or picked up at Olympia Provisions restaurants, local farmers markets or New Seasons.